What factors determine a person’s success? This is a question we often ask ourselves here at MemberMouse. Because we work with such a wide variety of successful business owners and entrepreneurs, we’ve heard many different perspectives on this topic. Over the years we’ve learned that people’s paths to success are as unique as the individuals who embark upon them. But one thing is for sure: every story is fascinating. In the spirit of inquiry and discovery, we’re starting a series of conversations centered around the idea of success. The question we’ll be asking everyone is: What is the one thing you’ve learned through the journey of starting a business that you’ve found to be most valuable? To kick things off, we start with someone close to home — the Founder & CEO of MemberMouse, Eric Turnnessen. After growing the business for 10 years and working with thousands of customers, Eric shares the most valuable insight he’s gained from the process. While this lesson certainly isn’t the end of the journey, it has transformed the entire way he does business. If you’re an entrepreneur, artist, or have gone through any process of creation where you’ve learned a great deal, we’d love to hear your story! Please share in the comments the one thing you’ve learned that you find to be of great value. 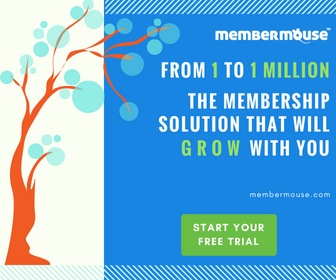 Eric: Hi my name is Eric Turnnessen founder of MemberMouse. I’m sitting down with Matt Brown who’s a member of our team and we are just having some tea. We’re going to have a casual conversation. This is going to be the first segment of a series of conversations we are going to have with founders and other people who have accomplished things in their lives. The question we want to put with people is what is – the one thing that you’ve learned through the journey of starting your business or going through whatever process of creation you’ve gone through? What is the one thing you’ve learned that you found to be extremely valuable? To get that off I thought I would share what that thing is for me in my journey, with Matt Brown, which started almost ten years ago. The thing that I’ve learned that has been extremely valuable to me is a surprise. It’s not something that I intended to learn. If I told myself nine years ago that this was going to be the most important thing, I wouldn’t have understood it. And that thing is learning to trust yourself. It’s seemingly a very simple statement, but it’s important to me for number of reasons. In the beginning when I was starting the business, of course I had a vision of where I wanted to go. I had an idea of what I wanted to accomplish. Lacking experience, I really didn’t know how to approach it, the steps that I needed to take, the tools that I needed. I feel that at that time I tried to find the answers and external sources, whether it be reading books, looking at how other people did things and copying those things to a certain extent and seeing if they would work for me. In a small sense they did work. There were some things of that nature that were helpful, but I would consistently get to a place where I didn’t know what was next and I would have to constantly go back to the well and ask other people or looked other people and to what I should do. I realized at a certain point in doing it this way, I wasn’t really bringing myself to it. I wasn’t really asking myself how I would do it and trusting even though I didn’t know or hadn’t had the experience that whatever my answer was could still be good. I’m still learning this, but if I have an intuition on something and I want to do something, especially if that’s something doesn’t necessarily have a support or a precedent that other people are doing, don’t worry about it. Try it and put it out there. Listen to the feedback and respond to the feedback. That in a nutshell is what I think is one of the most important things that I’ve learned through this journey. Matt: When you were first starting out, you said you were reading books, looking at what other people were doing, looking externally for ideas to implement and ways to succeed. Was there a clear indicator that you needed to make that shift? Eric: The clear indicator was the growing lack of the clear enthusiasm for what I was doing. In general, I’m a creative a creative person, I like to create things. The process of creation and building is something that I get excited about. That’s certainly the majority of how things were in the beginning. There was no pressure. I was just doing something. There wasn’t any success yet and I really didn’t have a number of the balls that have been thrown into the air as the company has grown. There came a point where I noticed that enthusiasm wasn’t there and I felt like I was going through motions. I looked into that and I asked myself, why am I not interested in it? Actually, before I even asked that question, I thought maybe I’m burnt out and maybe I need to take a break. Maybe I need to step away. Those stepping away times were important and valuable for me to get to the point where I understood. To give me that space to really reflect. I realized through that reflection process, the enthusiasm I lost was because I wasn’t listening to myself. I was doing things that felt mechanical. I was following someone else’s plan. I was doing it for the reason that – I think this is the best thing to do because I don’t know and I don’t want to risk what I’ve created to follow my own silly ideas. The thing is, it removed the vitality for me in building the business. That’s not a good thing. I’ve also learned that my interest and generally the people on the team’s interest – and their enthusiasm in what they’re doing is one of the most important ingredients to the success of the external product. All of that stuff comes through, whether in a conscious or a subconscious way to the audience. It’s a priority that I had to place on – it’s more important for me to be able to enjoy what I’m doing on a day-to-day basis and bring enthusiasm to it, excitement and inspiration. Putting that priority allowed me to push through the natural fears that came from following an unknown, untested intuition. This is what feels right. This is what will make me engaged and excited. It doesn’t matter what my mind says will necessarily be the outcome of that. I know if I don’t do that then I’m not going to be enjoying what I’m doing. If I do it then I will enjoy the process and even if it doesn’t turn out the way that I want it to, I will still learn something. Matt: It seems like there would be more risk involved in following your own intuition and trust in yourself. Eric: It seems that way. That’s the tricky thing. It’s actually not, it’s actually less risky. Again, that’s why this is so surprising because it seems counter-intuitive – that following your own intuition would be risky because you’ve never been to the place before. You’ve never gone there before, so how would you know how to get there? Trusting your own intuition, it may take you to a place you didn’t intend to go. There’s a risk there. That you may end up somewhere that you didn’t think you were going to go, but if you force yourself to go somewhere that you wanted to go, but you weren’t guided to go there – you may succeed at it, but you will be miserable. That’s the thing, trusting your intuition, it keeps you in alignment with where your natural enthusiasm and interest is. It allows you to evolve. If you’re so dead set on a certain destination and you’re not willing to deviate from that then your existence will end up being where you will have to cobble something together based on other people’s and input. Matt: Then it’s almost like you get into the habit of only looking to other people, only looking to external sources for advice and guidance for ideas. You lose touch with your own sense of where you want to go and what you want to do. Eric: You don’t give yourself the opportunity to come into your own sense. There are so many standard quotes that one could point to, over the ages that people have used to talk about this very thing. “You can’t make an omelette without breaking eggs.” Something about “learning to ride a bicycle you have to learn how to fall.” All these things, they’re very concisely said and we hear them so often that we don’t really look into them and find the value or understand where they came from. 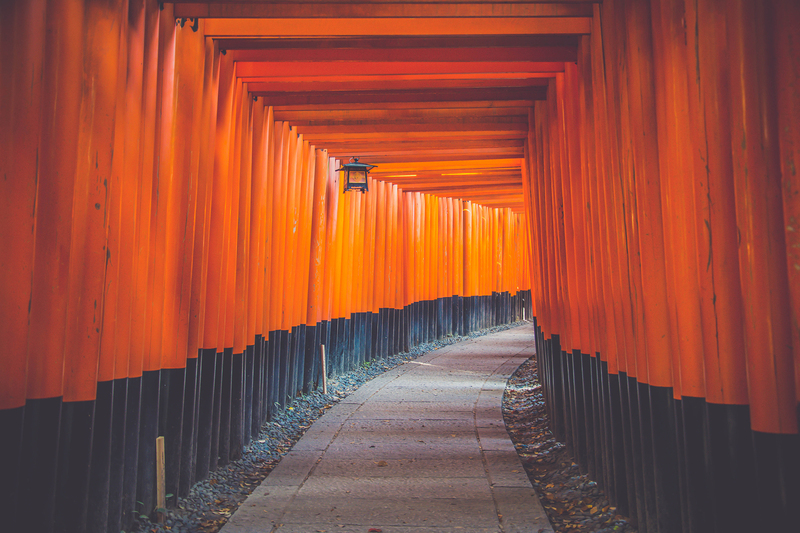 Especially this time it seems to be that the excuse I’ve certainly run into in the past and said to myself and rationalize – why I won’t follow my own intuition is the fear of failure. This concept of failure, this concept of doing something wrong and imagining these dramatic results – catastrophic things that will happen as a result of that. I think in concert with learning to trust your intuition the relationship to what – and the perception of what failure is, transforms at the same time. It doesn’t become this – it no longer holds the same power that it does in the beginning, for me. In the beginning, we make it out to appear to be this huge dragon that we can’t even dream of approaching, or much less feed. It’s interesting because the closer you get to it you realize it’s actually part of the path. The things that are perceived as “failures” Are those things that help polish and hone ourselves. That’s our experience. If we never risk a “failure” then we can never really learn. If we constantly try to take the safe path, based on what other people say – it’s a whole rationalization process. We may be following somebody else’s instructions and not getting success. At least it’s somebody else’s fault. It’s not my strategy that failed. It’s this thing that doesn’t work. I’ll just get another thing and that thing will work. Oh, that thing doesn’t work, I’ll just get another thing. It’s a constant aversion process of never really asking yourself the question – the way that you should do it and going with what your gut says. If you’re not getting a gut response. If you’re intuition isn’t supporting you in a task then that’s a good sign. It’s also useful because it tells you if you’re doing the right thing for yourself. There’s a lot of people that say they want to start businesses or any kind of project and sometimes the motivation to do that is again, externally motivated because people say it’s a good thing. It’s what people do if they want to appear a certain way. They really don’t want to do the business, they just want to do the thing that they get as a result of doing the business – if it actually goes according to the dream fantasy plan. The end result that a lot of people shoot for when they start something is the result of time, patience and personal evolution. Again, this is my perspective and what I’ve noticed on my journey. If you plant a seed in the ground, if it bears fruit the next day you should be concerned. That’s not how nature works. You plant to seed, you water it and it goes through a growth process and you have to tend through to it before it bears fruit. Yes, time for people who have experience and have done something before, they have experiential techniques that they can use to speed up that process, maybe. There is nothing that can bypass the benefit of experience. Experience is the thing that ultimately lets us trust our own intuition. When we start doing it and we see – his can work. This is good. Then overtime you get more comfortable with the discomfort of trusting your own intuition. If I trust my own intuition, how do I know it’s going to succeed. Yes, there is a certain discomfort with trusting in the beginning, with trusting your intuition because we like to do things that we feel our a certainty of success. Even in those cases we are really just fooling ourselves if we think something is a certain success. We are just fooling ourselves because nothing is certain. There may be a probability of certainty based on our experience, or based on how we implement something, or the advice that we’ve taken, but there is no certainty. Matt: Have you found that the shift in the way you make decisions affects what you achieve and where you end up? Eric: I find that in following intuition it becomes less about where things end up and more about how things are going. There’s obviously a vision and obviously planning and a direction that one is trying to get to. It’s not the guiding factor. If you’re walking a mountain, you’re on a hiking trail and there’s a peek in the distance and that peak is where you’re going, if the trail veers towards the left you don’t freak out and say “I’m not going towards the mountain anymore.” You follow the path. You trust either the path is going to wind back around and go towards the peak or you’re going to have a different perspective and see another peak that seems more resonate with where you want to go. The thing is in trusting the things that come up in a day-to-day basis, I find that it more accurately guides thing without really having to know or to have a fixed idea of where it’s guiding. Matt: It’s interesting, I like that the difference of where you end up and how it’s going. That could be a bumper sticker. It’s not about the destination, it’s about the journey. Eric: Why do I think that this is the most important thing? Can I pinpoint certain low-level techniques and different technologies, or tools that really helped make business efficient? Of course, I can talk about all those things and the things are also important. But, the reason that I think this is the most important thing for me is because it’s not so fixed. It’s a higher-level perception of how to approach things – in approaching that it changes my relationship with everything from low-level technical things, to hiring, to planning processes, to how to handle situations that come up – that require quick action. All the different little minute things that can come up with it in a business, is with this tool as a guiding force. It helps navigate those situations efficiently, with less stress, and with less effort. It bypasses the questioning process that can happen internally if there is a lack of trust. I’ve had conversations with many people who want to do something and emphatically say that they want to do something, but in their mental game they argue themselves out of doing it before they even start it. That is an exaggerating case of the exact opposite of trusting your own intuition. Then you’re in an analysis paralysis. You don’t move anywhere. You tell yourself you want to go somewhere, but then you tell yourself it’s too dangerous so you end up doing nothing. But you’re also not satisfied with staying where you are because you still tell yourself that you still want to go to that place. Then you come up with more excuses or reasons why it’s too dangerous to attempt. It’s this standstill, mental game that’s happening. On the spectrum of that to trusting yourself, there’s many varying degrees of how that can happen. It’s not that there isn’t a place for analytical thinking. It’s that is has to be put into proper perspective. The fear of attempting something cannot be the reason not to do it. Matt: It sounds like that gives you a different set of parameters to operate from. A different way to look at everything, from the low-level technical questions, issues and problems to the direction you’re headed, where you’re going. Eric: It empowers you to try something. Things have to be tried. I’ve made so many freaking mistakes throughout the business. I’ve wasted so much money, I’ve wasted so much time. These are perspectives – I don’t actually believe these things to be true, but you can look at it that way. The thing is the end result of all of that is where things are at and things are in a good place. So, can I really say that there’s things that shouldn’t have happened? That was part of the learning process, that was part of the evolution. The thing is, my other believe is you can’t get anywhere without consistent effort. You have to do something every day. For the thing that you want you have to do something every day towards that thing. Whatever it is. Even if you have to force yourself to do it and you have no idea why you’re doing it – you have to do something. You have to try because there’s no way you’re going to get anywhere. Thinking is not doing. What is that Yoda quote? “Do or do not, there is no try.” It’s true. Thinking is not a process of doing, it’s time-wasting. I’m not saying don’t think about things, but if you’re self-defeating yourself through thought, you’re sunk. You’re not going to do anything. This again, people I talk to, people starting businesses it’s a very vulnerable place to be because you want to do something, but you have no idea how to do it. You have no experience to draw from. The best advice I have to offer in that situation is – do something. Do the thing that is closest to you. Don’t try to make things more complicated by thinking you need to acquire this tool, or you need to pay this person for this thing or whatever. If you want to write a blog, start writing. Without writing you don’t have anything anyway. Start developing the thing that offers a value. Thinking you need to acquire things is another subtle way of procrastination and not doing something. If only I had this then I could do something. No, you can do something today. If you really want to accomplish something then you will do something today. You’re planting that seed and you’re watering it. That’s another thing that’s super important, is doing the thing that’s right in front of you and doing the thing that’s closest to you. If you’re a writer, if you like shooting videos shoot videos, don’t worry about the technology or how you’re going to deliver it or how you’re going to make money. This is how I approach MemberMouse too. I didn’t set out to make it the business it is today. I just made a piece of software that I wanted to use for myself. Once I did that other people wanted to use it and a lot of stuff happened after that. I was just doing something for myself. I was interested in it. I brought myself to it. The philosophy that I‘ve approached with MemberMouse is that if you produce something of value there will always be a market. Matt: If the most important thing for you has been learning to trust yourself, what would you recommend to people who wanted to get there? Eric: It’s a tricky thing, like I said in the beginning. This isn’t something I could have told myself nine years ago and I would have understood it. It’s really a byproduct of a process. The important thing is following interest. That’s a good one. What are you interested in? What excites you? If you follow that that I think is the loudest part of intuition. Intuition has many levels and subtleties and how it will speak, but I think interest and enthusiasm is a very obvious one. That’s a really good place to start. Definitely if you’re interested in doing something, then do it and don’t worry about – don’t let talk yourself out of doing it. Just go for it. Matt: Well that seems like a good place to end it. Eric: Hopefully this sharing has been useful to people. Like I said in the beginning, we’re going to be having this conversation with other founders and other people who have been successful in creating things. I’m really excited about that because I certainly have my perspective, but I really enjoy hearing how other people have come to their own success. And, what they think is the most important thing that they’ve learned. Certainly, if anyone listening to this – you want to share your own story, in the comments, we would love to hear your own experience.